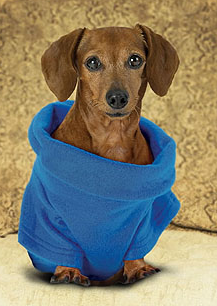 The Snuggie for Dogs is $14.95 plus $7.95 shipping and handling. A second one is free if you pay for shipping. Then I watched the promotional VIDEO on the website.